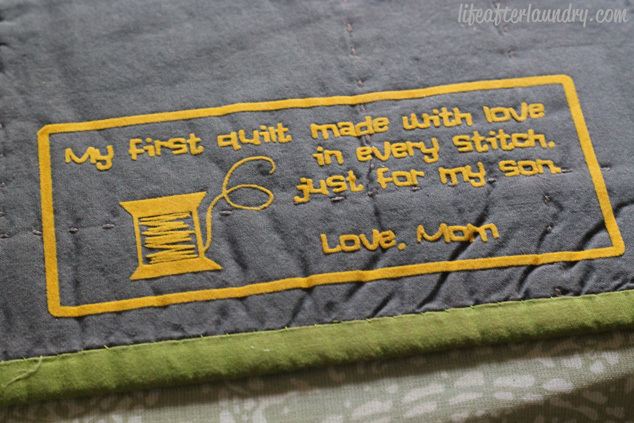 A quilt just isn’t complete without a cute label. Whether you are letting the recipient know who it is from, why you made it, what they mean to you or just giving general care instructions, a quilt label is an important final touch. I had put off making one for my son’s quilt, simply because I wasn’t sure what I wanted to do or how to do it. But, again my Silhouette came to the rescue and made it easy for me to accomplish my task. Doing labels this way gave me the freedom to create something appropriate for a kid’s quilt, and especially for my son. By designing it myself I can make it just how I want and make as many as I want. I didn’t get stuck with one design or 200 of them like I would by ordering them. So, if the next quilt I do is girly and more sophisticated, my quilt label can reflect that. This was my first time using the Heat Transfer material from Silhouette, and I’m pretty much in love. I have to admit I was a little bit intimidated at first, and now I have no idea why. I realized as long as you remember to mirror the image, it really isn’t that much different than cutting regular vinyl. So, if you have been hesitant to try, don’t wait because it is so much fun. I know you will love your results so much you will be hooked. 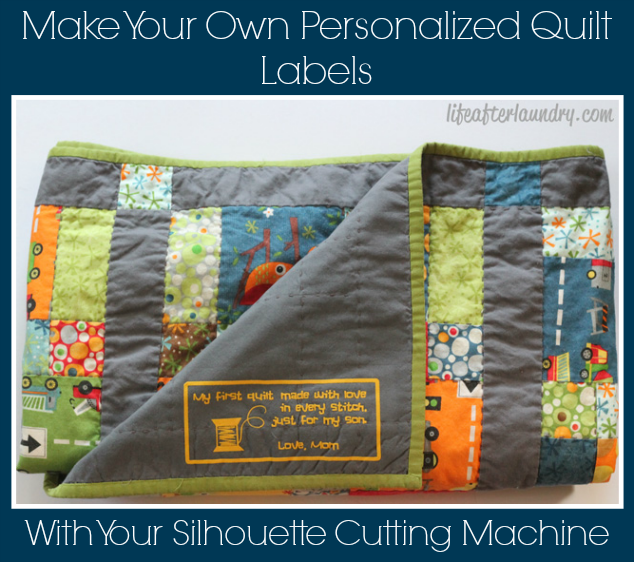 If you would like to create your own personalized quilt labels check out my tutorial below, and don’t forget to enter a Silhouette Portrait giveaway at the end. 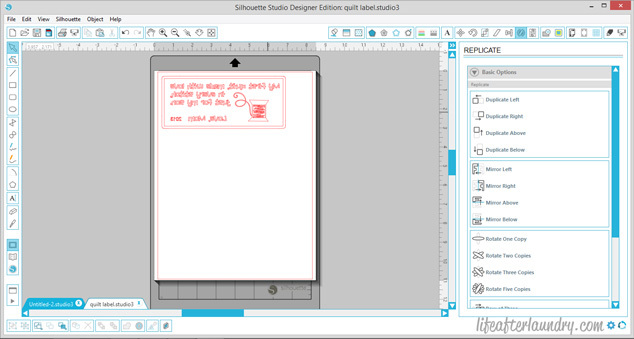 Design your label in the Silhouette Software. Have fun playing around with fonts and different shapes, there are tons of options. Once you have it like you want it, group the image together and re-size it to your preference. This is a good place to do a test cut with paper to see what size looks the best. Before you cut, make sure to MIRROR your image. Change your cut settings to the Heat Transfer Material. Adjust your blade, load your material shiny side down using the load media button and send to Silhouette. After your label is done cutting, unload and trim the heat transfer vinyl down, so it is easier to work with. Weed out the background pieces, until you have only what you want left on your label. Position your label on the quilt. 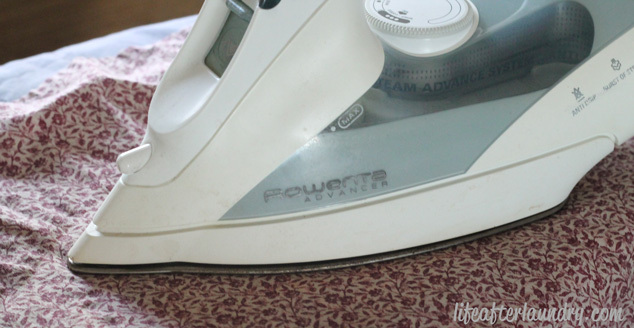 Heat your iron to the cotton setting, no steam. 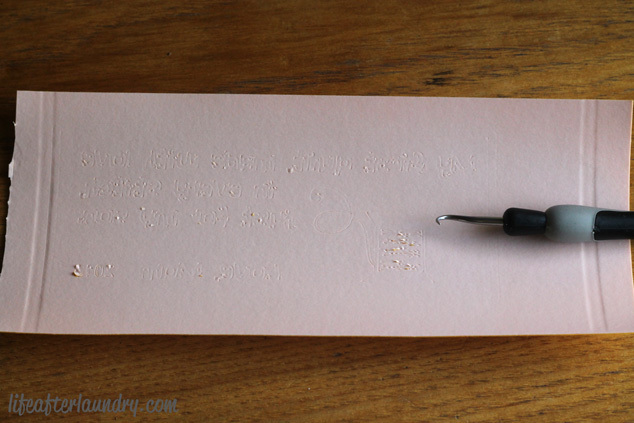 Apply a pressing cloth (scrap piece of fabric) over your label and press for 45- 60 seconds. When you go to pull the transfer paper away from your design, pull carefully. If some of the design is still sticking to the paper repeat the iron process, pressing firmly. 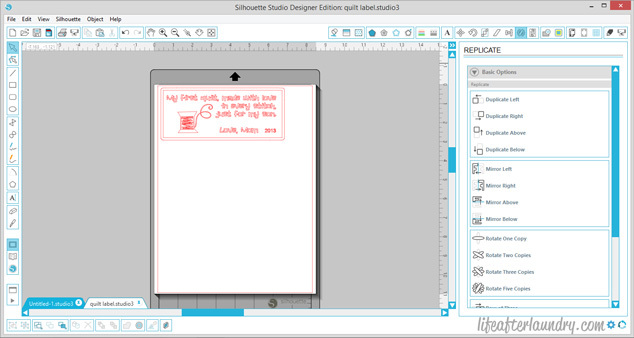 Now you have a cute, easy and personalized quilt label! There are tons of possibilities with the Silhouette Heat Transfer materials. I certainly love how my labels turn out and I’m kind of hooked now. Can you image being able to add your own design touch to your clothing or bags?! 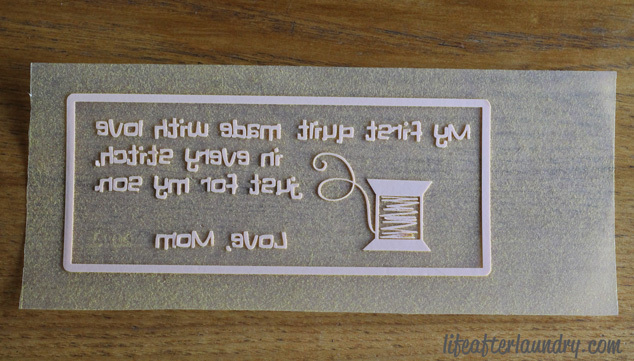 What a great gift for Mother’s Day, Graduation or a Baby Showers gift that would be. 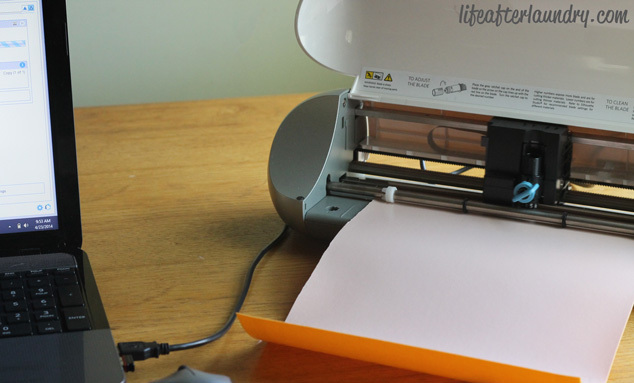 I truly believe this is one of the best crafting tools to have, and now you have the chance to win one! The wonderful people from Silhouette have been so kind to give me a Silhouette Portrait to giveaway to one of my lucky readers. Enter below and Good Luck! « The New Tips and Tricks Link Party! Breanna! I love the quilt it is so sweet! It makes me wish I could sew! Thanks for sharing! What a great idea! I’m sure your little sweetie will love this cozy quilt! Thank you so much, Jillian! Thanks so much for this HTV Tute! I have pinned this for my future reference =) Also, thanks for the giveaway!! 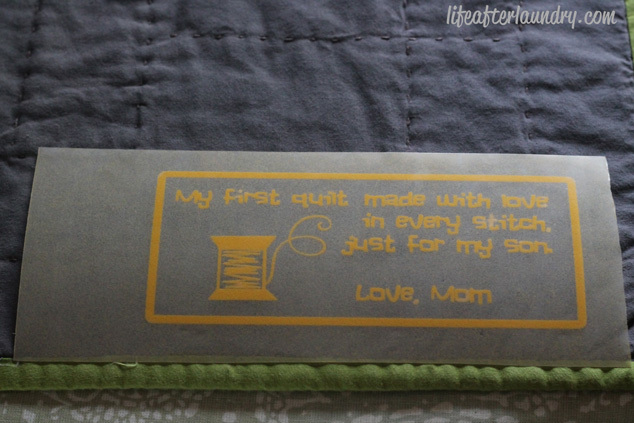 What a great idea to make a quilt label! I would have never thought of that use for the silhouette! Thanks for sharing and for sponsoring such a great giveaway! That quilt is so adorable! I have a Silhouette, but had never thought to use it this way. Great idea, thank you! Kristen @ Down Home Inspiration recently posted…BLACK+DECKER Pivot Vac, the Best Handheld Vacuum and Giveaway! Thanks you so much, Kristen. Such a pretty design for your label! 🙂 Thank you for offering the give away as well. Brenna, this is amazing! What a lovely keepsake for your little boy. I keep saying that I’m going to try HTV and I haven’t done so. I seriously think it’s time I start. I just need to think of a fun project. Oooh! I hope I win!! This is an AMAZING idea! 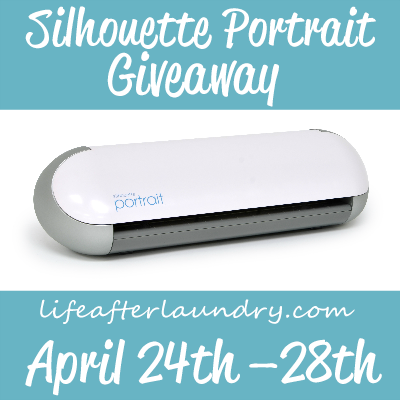 I’ve heard so many great things about the Silhouette machines – hope I win! This is my thirteenth entry for my so desired silhouette. I love everything about it! LOVE this! I always want labels but can never find any that say exactly what I want them to – perfect solution! Awesome idea!! How did this wash? Did it peel or fade easily? I actually just washed it for about the 5th time (it’s part of the bedding for my toddler son) and everything looks great!